Many times the need to lose weight urgently makes us fall prey to crash diets. These diets provide fast results, but sustaining such weight loss is not easy? The weight loss is temporary. So what can you do? Is there a diet that is nutritious, filling and yet helps in weight loss? The 5 Factor Diet fulfills these criteria and that is the reason why many people, even celebrities like Jessica Simpson, Mandy Moore, Eva Mendes, John Mayer, Alicia Keys and Kanye West have adopted the plan. What is a 5 Factor Diet? The 5 factor diet and fitness program was introduced by Harley Pasternak. This program focuses on the intake of five healthy meals every day and 25-minute exercise sessions spread across the week. You would need a dumbbell and a bench to carry out these exercises. It is a five-week diet and fitness plan. The results may be seen over a period of 5 weeks. You need to take 5 meals consisting of 5 factor foods per day. The 5 factor foods are a healthy mix of mono-unsaturated fats, high biological value protein and carbs, with a moderate to low glycemic index. High fiber foods and plenty of water. Good quality protein comes from low fat dairy products and lean meats like fish and chicken. The 5 factor diet works on the principle that insulin levels in the blood control your hunger. Hence a meal with low to moderate glycemic index, eaten every 3-4 hours helps in keeping the insulin level under control and thus controlling hunger pangs and urge to eat. The meals are very easy to prepare making the 5 factor diet practical and hassle-free to follow. Harley Pasternak prescribes multiple sessions of 25 minutes of cardio and strength training instead of spending a complete hour in working out in his 5 factor diet. 5 factor diet includes all the major food groups and hence one can easily opt to eat out while following the 5 factor diet. Another thing that will draw you towards following the 5 factor diet is its cheat day allowance. Sounds surprising right? The 5 factor diet is by far the only diet that allows you to have 1 day off per week to eat the food of your choice with a little caution over the portion size. The 5-Factor Diet plan allows almost all foods, with a restricted intake of foods made of refined flours and those that are laden with sugar. Here is a list of foods you need to compulsorily add to your 5-Factor Diet plan for your daily intake. Avoiding flour and sugars is the key to success of the 5 factor diet. Just stick to small portion sizes. The 5 factor diet is based on bringing about some lifestyle changes. Just eat within your limits and avoid excessive calorie-laden foods. Exercise while enjoying the liberty of indulging in your favorite foods one day every week. I am sure this 5 factor diet can really help if followed genuinely. 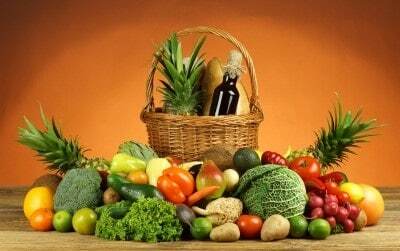 « Antioxidants and Their Delicious Sources! suggest me diet plan for abs. hi protein diet will help you . but you need to workout to get good abs. The diet mentioned in ur blog is too good. But i need a customized plan to suit my needs.I m not able to find any forms to fill in. Can you please help me? you can find the information here – https://www.dietburrp.com/diet-services/ also mailing you the details on the mentioned id.